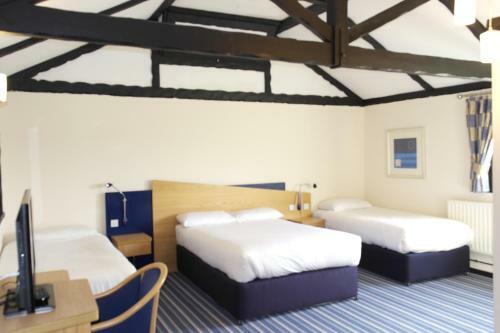 Set in the Bedfordshire countryside, Beadlow Manor Hotel offers refurbished en suite rooms and two 18-hole golf courses. There is a bar and free private parking on site. Rooms are serviced from the Golf Clubhouse, which is next door to the hotel.